VLCC is widely recognized for its weight loss, Dermat and beauty solutions. The company has made its name in the industry for its scientific and therapeutic approach toward its offerings, be it wellness services or personal care products, and more. 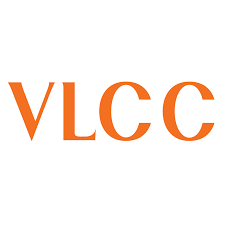 Founded by Mrs. Vandana Luthra in 1989, today VLCC has the largest scale and breadth of operations within the beauty and wellness services industry in India and abroad.VLCC has revolutionized the wellness industry to acquire the status of being the Number 1 Wellness Brand across South Asia, South East Asia and the Middle East, with a presence in over 300 locations across 121 cities and 16 countries with direct company managed operations in India, Sri Lanka, Bangladesh, Nepal, Malaysia, Singapore, UAE, Oman, Bahrain, Qatar and Kuwait.Having served over 10 million customers since its inception, VLCC is the largest and most-preferred brand in the Wellness domain in the countries it operates in.